Located in Lahug, this hotel is within 1 mi (2 km) of Cebu International Convention Center and Cebu IT Park. Philippines Taoist Temple and Cebu Business Park are also within 2 miles (3 km). This smoke-free hotel features a restaurant, concierge services and dry cleaning. Free WiFi in public areas and free self parking are also provided. Additionally, a 24-hour front desk and a front desk safe are on-site. All 70 rooms provide conveniences such as fridges and coffee makers, plus complimentary wireless Internet access and LED TVs with cable channels. Other amenities available to guests include minibars, free newspapers and free local calls. The hotel offers a restaurant. Wireless Internet access is complimentary. This business-friendly hotel also offers concierge services, dry cleaning/laundry services and a safe deposit box at the front desk. Complimentary self-parking is available on-site. Tsai Hotel and Residences is a smoke-free property. Tazza Cafe and Patisserie – This restaurant specialises in international cuisine and serves breakfast, lunch, dinner and light fare. Open select days. Start your morning with a cooked-to-order breakfast, available each day from 7:30 AM to 11 AM for a surcharge. 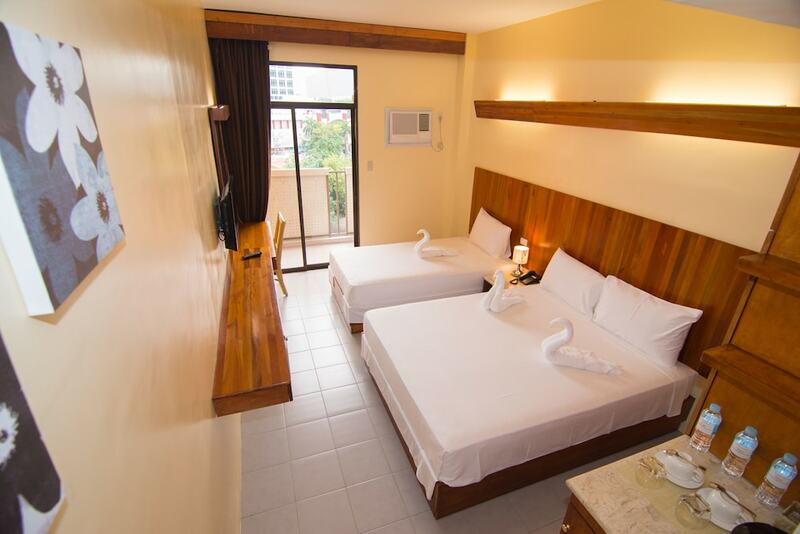 Rollaway/extra beds are available for PHP 750.0 per night. Up to 2 children aged 12 years old and younger stay for free when occupying the parent or guardian's room, using existing bedding. No pets or service animals are allowed at this property.